The ground in this neighbourhood is remarkably fertilized by the overflowings of the Derwent, and yields abundance, not to be surpassed except on the banks of the Nile. This remarkably glowing description of the farmland in the parish of Bubwith was afforded by Edward Baines in 1823 (History, Directory & Gazetteer, of the County of York, Edward Baines , Volume II, the East and North Ridings). 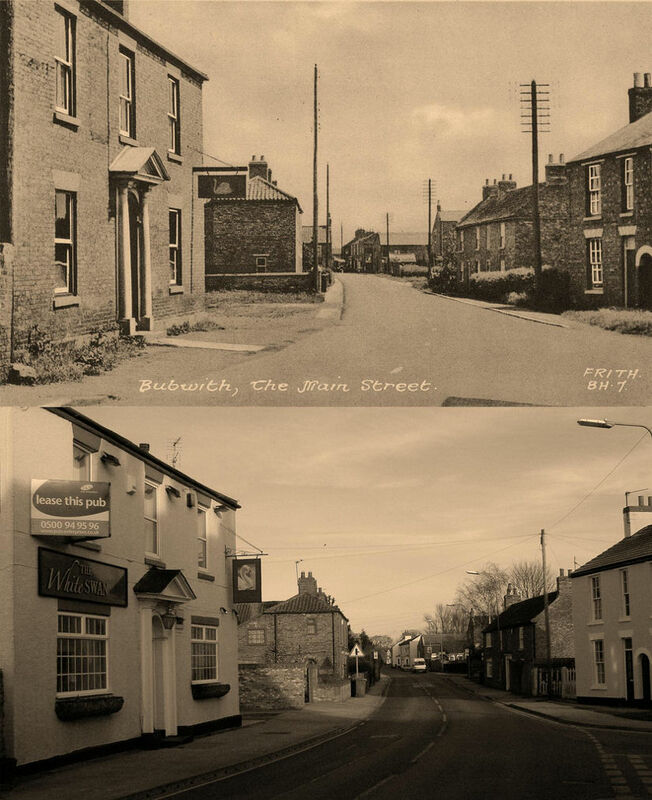 Bubwith has always been an agricultural parish from the time of Domesday until the present, with very few other industries. The soil around the village is partly sand and partly clay, and the subsoil clay; the chief crops are wheat, oats, barley, and potatoes. The low lying lands near the river, called the Ings, yield very fine crops of hay, but are frequently flooded when the river is swollen by heavy rain from the hills. When these floods occur whole fields of hay are often swept away. The soil and crops in Breighton and Gunby are very similar to Bubwith, but Foggathorpe, Harlethorpe and Gribthorpe possess a stiff clayey soil, with very little sand, and a clay subsoil. Wheat, beans, and oats are the principal crops. In Spaldington and Willitoft the soil is mostly clay, with small portions of sand. Wheat, oats, barley, clover, beans, and peas are the chief crops. The surface throughout the parish is generally level and well cultivated. It has never been (since Domesday at least) well wooded, with just a few thickets and the wood of the hedgerows. A corn market was established around 1836-7 which was held every Wednesday, but the market fell into disuse within twenty years due to the opening of the railway. The evidence from wills also show that livestock, including pigs, sheep, horses and cattle were farmed throughout the medieval and late modern period. There are also ample references referring to grazing on the Ings. The Ings hay meadows were cut in early July, then grazed with sheep or cattle until the late autumn. Many other fields were referred to in estate documents as being used as pasture for animals. Workers for the fields and houseservants were generally recruited from the Selby Hiring Fair, held on Martinmas Monday. The farmers and agricultural labourers stood near to the Abbey, whilst the lads and lasses stood at the other end of the market near the banks. After the hiring was concluded the workers would celebrate in a fair held in Wide Street. The chief communications artery to and from Bubwith for many centuries has been the river Derwent. Bubwith stands at a crossing point over the river, and there are natural staithes which make it an ideal landing place for river goods. 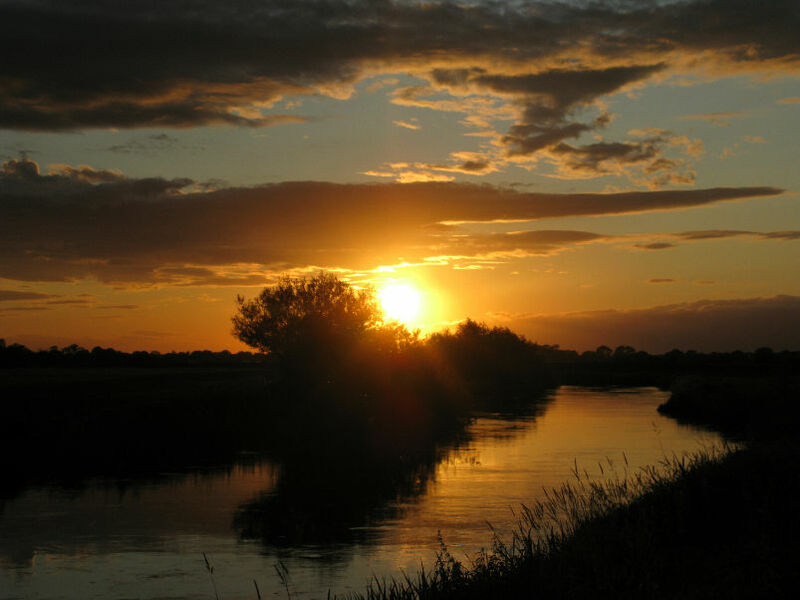 The 38 miles of river between Malton and its confluence with the river Ouse have almost certainly been used by small craft since the time of the Romans, and improvements in the 18th century permitted navigation by the barges then trading on other Yorkshire rivers. The unusual upstream facing outfall of the Derwent is man made. It is believed to have been cut during the Roman occupation of Britain to reduce the distance between the Derwent mouth and the Roman legionary headquarters at York by 9 miles. The first navigation weir, also believed to be of Roman origin, was a flash weir built near Wheldrake to raise the level of the river upstream and regulate its flow downstream. During the reign of King John (1199-1216) a water mill on the Derwent at Wheldrake was given to the monks of Fountains Abbey and later in the thirtenth century a weir is known to have existed at the same place. By 1462 when the Lord Mayor of York was authorised to "correct and amend defects" of the Derwent "from the Ouse as far as the town and bridge of Sutton upon Derwent" the river must have been navigable at least to Sutton. A corn mill existed at Sutton upon Derwent by 1597. It was rebuilt in 1836 and continued in use until 1960.There are other water mill sites at Stamford Bridge, Buttercrambe, Howsham, Kirkham and Malton. (Navigation on the Yorkshire Derwent, Pat Jones, 2000). There were several attempts to improve the navigation of the Derwent by Act of Parliament. George Sorocold produced plans for making the river navigable on which two unsuccessful Bills were promoted in 1695 and 1698. He surveyed the river again for a Bill introduced in 1700, which failed, but an Act was finally passed in 1701. On the 6th May 1702 the Derwent Navigation Act received the Royal Assent. The driving force behind this Act had been the traders of Malton, and the Act empowered the five undertakers to not only dig cuts, trim the banks, remove obstructions and weeds, but to also prepare towpaths. The promoters were allowed to charge tolls on the cargo carried on any part of the river. 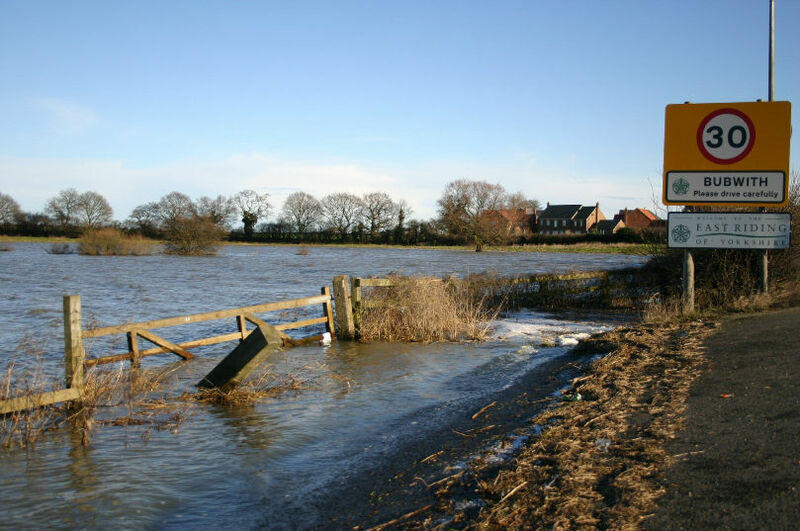 By 1724 Malton was at the head of a fully navigable river taking boats of up to 50 tons. In 1720 the navigation was acquired by Thomas Wentworth, together with his descendant Earl Fitzwilliam. They employed Joshua Mitchel to work on a survey for making the river navigable to Yedingham Bridge on the York to Scarborough turnpike road. This was done by an additional cut of the river but with a shallower depth, making it navigable only with 15 ton boats rather than 50 ton boats to Malton. Between 1723 and 1724 Mitchel leased the tolls jointly with Mark Andrew. On the 20th October 1755 the tolls were leased to William Fenton, for a term of twenty-one years and subsequently to Thomas and James Fenton, who leased the tolls until March, 1805. By 1805 the extent of the navigation had been increased by a further eleven and a half miles as far as Yeddingham Bridge. The Major traffic during this period was coal coming to Malton having been mined in the pits of Fitzwilliam in the Barnsley area via the Aire and Calder canal the along the Ouse navigation. In 1840 the coal tonnage was 37898 tons. Lime was also caried in large quantities, as it was used to improve soil fertility. The boats were normally loaded with corn for the return journey. The boats on the river were mainly sailing keels and sloops, but due to the meandering nature of the river the boats must have made extensive use of the towing horses. However, the towpaths were not uniform on both sides of the river, so on several occasions the horses had to be ferried to the opposite bank to continue the tow. The boats were largely of Malton, but a survey of 1807, in connection with the raising of tolls, listed boats using the Derwent other than those of Malton, and included 4 from Cottingwith, 1 from Bubwith, and 1 from Hemingbrough. Until the arrival of the railway the Derwent navigation had proved quite profitable, but it was the third Earl FitzWilliam who eventually saw the writing on the wall. In the late 1830s he embarked on an extensive programme of dredging and improvements, and introduced the first steam-driven dredger to the river, in order to be better placed to compete with the inevitable arrival of the railway. Paradoxically, much of the sand and gravel and other materials used in the construction of the railway on the Hull-Selby, Selby-Market Weighton, and the York-Malton-Scarborough lines were carried by boat on the Derwent. The navigation was purchased benefiicially by North Eastern Railway Company on the 1st May 1855 for £40,000. However, the decline in the navigation traffic and profitability was slow and steady. In the month of May 1805 the number of boats passing Barmby chain was 146, whereas in May 1847 it had reduced by one third to 93, and in May 1862 it was down to 38. Navigation as far as Cottingwith, from which point the Pocklington canal was served, survived up to the 1930s, and that to Sutton for just a little longer. By the beginning of the 20th century the river had started to be used by pleasure craft and by 1920 there were craft based regularly at Stamford Bridge and Kirkham Abbey. In 1935, the statutory Right of Navigation was revoked above Sutton Lock. There followed a long series of fights for public access against riperian interests which continue to the present day and the navigation currently ends at Stamford Bridge. The records of the Derwent Navigation, 1702-1918, are held at the North Riding Record Office in Northallerton, under reference ZPB. There is mention of a ferry over the Derwent at Bubwith from at least the 12th century (Selby Coucher Bk. 2, Y.A.S. Rec. Ser. XIII), and in 1200-1210 we learn that it was already in two shares, when William Constable gave his half share to Richard de la Haye on his marriage to Agnes, William's sister (EYC XII, page 33). Other early references to it are in C 134/64 no. 12 (1320); Yorks. Fines, 1347-77, p. 115 (1367); Yorks. Deeds, v, p. 32 (1407). In 1601 John Aske held a moiety in the ferry, and it is mentioned in his will of 1605 (in which he left it to his wife, Margaret, in trust for his son Richard, who was aged 16 at the time), and in his Inquisition Post Mortem of 1607. The ferry had a cottage and croft attached to it (DDBH/31/3). The ferry was again mentioned in the will of Richard Aske, in 1683, when he left everything he had to his son Conan, who was a minor at that time, with the tuition of Conan being granted to Samuel Dawson of York. The other moiety of the ferry was owned by John Hussey of North Duffield in 1581 (YAS: MD59/6/Misc/119), and by Sir Peter Middelton of Stockeld in 1629 (YAS: MD59/6/Misc/135). The tenancy of this moiety seems to have been held by one family throughout, as the tenant in 1581 was Arthur Nesbecke of Bubwith, waterman, while in 1629 it was Thomas Nesbecke of Bubwith, ferryman. In 1633 this other moiety of the ferry was included in the marriage settlement of William Middleton, son and heir of Sir Peter Middleton, and Katherine, second daughter of Henry, Viscount Dunbar. In 1764 Mr. C. Yorke provided a legal opinion, (under the Marriage Settlement of Mrs. Middleton), concerning the manors of North Duffield and Habton, and the ferry at North Duffield. It is not known with any certainty when the ferry at Bubwith was last used. It would certainly have been in use up to the completion of the bridge at Bubwith in 1798. There is also a reference in an 1851 mortgage concerning the Manor of North Duffield, which speaks of "rent of £5 per annum payable by the proprietors of the bridge over the Derwent near Bubwith Ferry, and farms and lands in North Duffield". Whether this implies that the ferry was still operating at this time, or whether 'Bubwith Ferry' was now just a local place name is open to conjecture. A second ferry in the parish, at Breighton, was mentioned as early as the 14th century (Yorks. Deeds, ix, pp. 126, 161-2). John Aske held a moiety of the ferry in 1607 (IPM, ref: DDBH/3/79, Hull University Archives). The other moiety was held by the Crown, as in the 1609 survey of 'His Majesties Manor of Brighton' we learn that Raphe Rabie holdeth there half of the Ferry called Brighton Ferry over the river Derwent, and half of the fishing thereof, by Patent. In 1737 Nathan Fligg of Menthorpe was the ferryman, as in that year we learn that he was indicted at the Quarter Sessions for refusing to take people over the ferry. Between 1760 and 1768 William Beilby was the ferryman, but apparently not a good one, as in 1747 he too was indicted before the Quarter Sessions for refusing to take George Crawle esq., and others over the ferry, and in 1760 for neglecting his duty as a ferryman at Menthorpe. According to the VCH the Menthorpe to Breighton ferry was last used before the Second World War, according to local knowledge. Road construction and usuage in the Bubwith area had always been limited by the river Derwent. The two ferry crossings at Bubwith and Breighton were at the two local east-west road thoroughfares. However, the major east-west thoroughfare over the Derwent was of course at the main bridge crossing, which prior to the construction of the bridge in Bubwith was on the Pocklington-York road, at Kexby, on the present-day A1079, built in the late 1420s, rebuilt in 1650, and turnpiked in 1764.
non-repair of highway from Bubwith to Breaton. 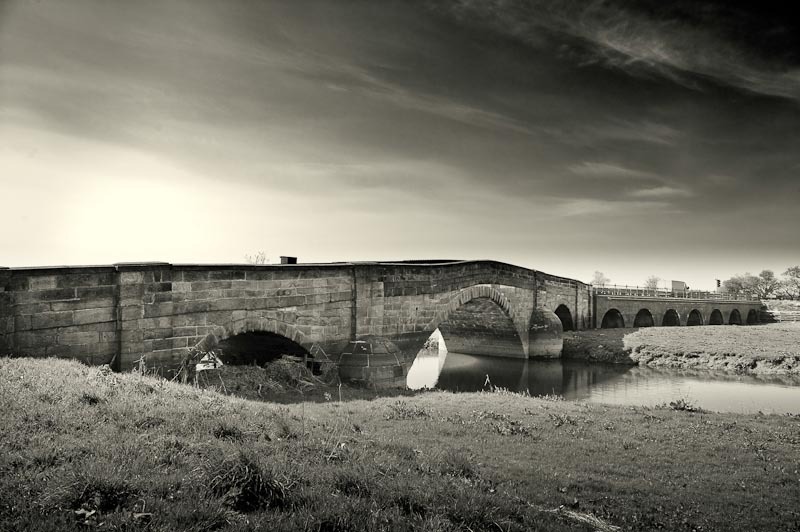 "Ignoramus"
The completion of Selby Bridge in 1792 increased the traffic from Selby to Market Weighton, via Barlby, North Duffield, and Bubwith. There was considerable interest in turnpiking this road, but with the ferry at Bubwith having been described as 'dangerous and inconvenient', there was an obvious need for a bridge to be built at Bubwith. An Act for the building of a bridge at Bubwith was passed in 1793, along with an Act for turnpiking the Selby to Market Weighton road. The bridge at Bubwith was completed in 1798, and consisted of three large stone arches, and seven smaller brick arches, at a cost of about £2,000 raised in £40 shares. In 1810 the trustees of the turnpike were William Burton of Turnham Hall, parish of Hemingbrough esquire; Barnard Clarkson of Kelfield Hall, gentleman; Thomas Hubie of Barlby, gentleman; Thomas Weddall of Selby; and John Coulman, gentleman, of Selby. In that year they sold 2 roods land in the East Field in Harlethorpe, part of the old road, on behalf of the trust, to Thomas Ealand of Harlethorpe, parish Bubwith, gentleman; and 30 perches in Bubwith part of the old Selby Ferry, Market Weighton road, to Barnard Clarkson junior of Holme, gentleman. Local people invested in both schemes. In the will of William Chaplin of Bubwith gentleman, 15 Aug 1825, he left among other things "my share of profits from Bubwith Bridge Tolls and Selby to Market Weighton Turnpike Road" to his son John. Offences relating to the turnpike road sometimes came before the Quarters Sessions. In 1808, Thomas Whiteley of Howden, surgeon and apothocary, was convicted of attempting to avoid payment at the tollgate on the turnpike road from Market Weighton to Selby. In 1825, James Gell of Market Weighton and John Ogle were both convicted for "driving a cart in the township of Melbourne and the cart did not have the place of residence set forth in full length against the law in 3rd year of George IV Regulation of Turnpike Road". It was also against the law to do business on the turnpike road on the sabbath, as in 1831, Joseph Arnold of Market Weighton, dealer in pots, was convicted for "driving a cart along the turnpike road leading from Market Weighton to Selby on the Lords day doing worldly business and labour". Obstructing a turnpike road was also an offence, and in 1837 we hear of Robert Marfleet of Market Weighton, labourer, being convicted, as he "did place a waggon across the turnpike road and did thereby interrupt the free passage of the Majesty's subjects at Market Weighton". The improved roads led to opportunities for local people to engage in the profitable business of 'carrying'. Carriers were frequently noted in the trade directories of the 19th century, carrying various goods, and persons, in their carts and chaises to the nearby towns and cities. In Baine's 1823 directory he lists for Bubwith: John Brabbs, (land) to York every Saturday, departing 3am. returning same day. To Howden, on Tuesday, departing 9am returning 5pm; and in Foggathorpe, Robert Clegg, to York every Friday, and to Howden every Wednesday. While on the river we find listed: John Mountain, a packet owner plying from York to Selby, but who takes in & unloads goods at Bubwith once a fortnight. John Brabbs was also listed in White's 1840 and 1846 directories, while listed in the 1846 directory for Bubwith is Mark Greenwood, to Hull on Tuesdays & Howden on Saturdays; and for Spaldington is Thomas Dove, going to Selby on Mondays, and Howden on Saturdays; and Thomas Newsham to Howden on Saturdays. In the 1857 Post Office Directory only two carriers are listed, that of James Brabbs of Bubwith, and the Hull & Selby railway company. Bulmer's 1892 Directory lists for Bubwith: Thomas Green, shopkeeper, and carrier to Selby on Mondays, and Howden on Saturdays; Robert Howden, carter and carrier to York on Saturdays; and for Spaldington (from the Post Office): John Broader, carrier to Howden on Saturdays; and John Swinden, grocer and carrier to Howden also on Saturdays. Changes to the Selby Ferry and Market Weighton turnpike road were effected by Acts of Paliament in 1814 and 1857. The trust was discontinued in 1879. Several of the milestones erected by the turnpike trust still stand. The bridge was owned not by the turnpike trust but by an independent company, and tolls continued to be collected at a house on the Duffield side of the river until the bridge and toll rights were bought by the East Riding county council in 1936. Annual statements of income and expenditure of the Selby - Market Weighton Turnpike Road Trust survive for the years 1834; 1854; 1855; 1859; and 1860, at Hull University Archives, under reference DDJ/34/30. 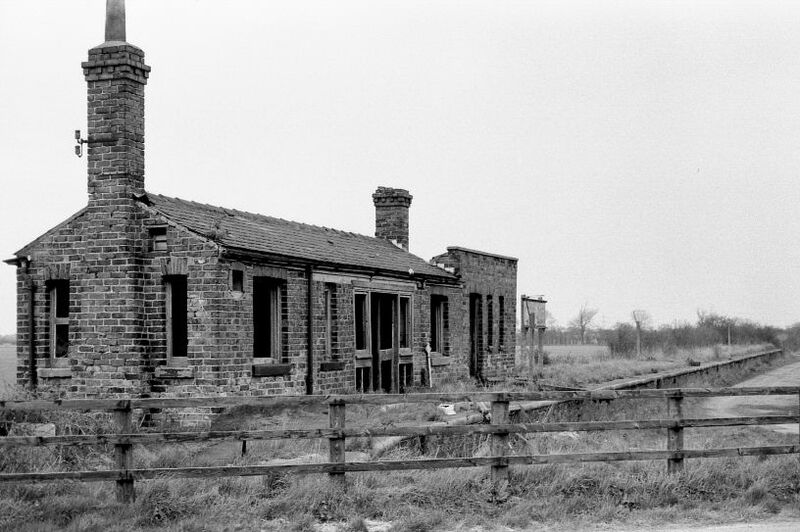 Bubwith lay along the Selby to Market Weighton line built by George Hudson's company, the York and North Midland Company, and opened on the 1st August, 1848, crossing the Derwent a little lower down from the road bridge, using a bridge of wood, but which was destroyed by fire in 1858. An iron girder bridge was then built to replace it. The line was taken over by the North Eastern Railway Company on 31 July 1854, and converted to double track in 1890 when the Market Weighton to Driffield section opened. Stations were opened in Bubwith, Highfield and Foggerthorpe along the line, which was unusual to have three stations serving just one parish. Timothy Glennan was the station master in 1857, and in 1892 James Horsfield, was the station master at Highfield station, while William Creasor Scott was the station master at Foggathorpe station. Due to low passenger receipts these stations were closed to passenger traffic on the 5th December, 1953. Today the route forms part of the Howdenshire rail Trail for walkers, cyclists and horseriders. 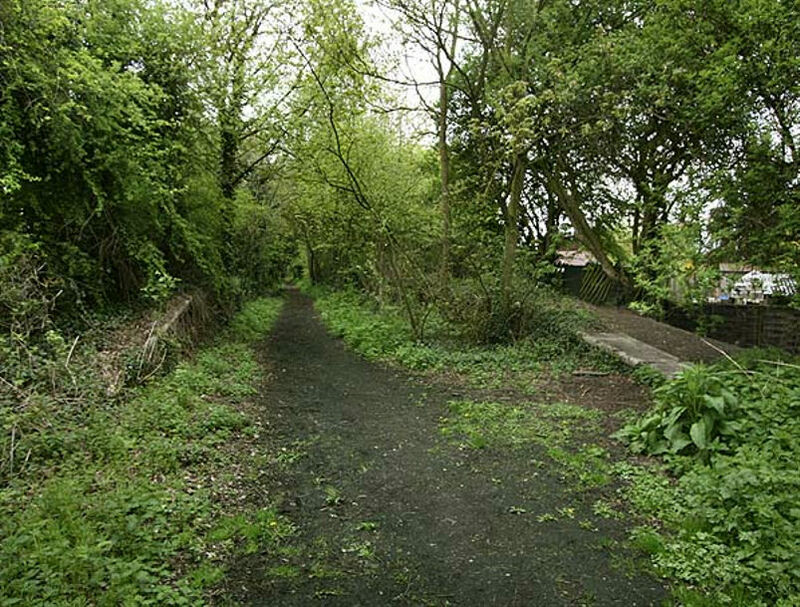 An excellent article on the Bubwith railway, with many photographs, is on the Disused Railways site, by Nick Catford. Bubwith was primarily an agricultural parih, and there was very little else in the way of trades carried out there. There were local services of course, to serve local needs, and so we find in the trades directories mention of local shopkeepers and tradesmen, such as butchers, grocers, shoemakers, plumbers, wheelwrights, sadlers, innkeepers, bricklayers, millers, surgeons, schoolmasters, and the village blacksmith. Of the few small concerns that could be described as 'industries' mention must be made of the brewery in Bubwith, which was established around 1777. There were two breweries in 1823. One was owned by George Blanshard, producing both malt and beer, and the other by John Young. In 1846 the two breweries were owned by Thomas Crow and Thomas Turner. By 1857 the brewery in Staithe Street had expanded, and was owned by Richard Raimes Blanshard, who was described in the Post Office Trades Directory as "wine and spirit merchant, brewer, maltster & farmer". The other brewery was still owned by Thomas Turner. It is not known how the brewery in Staithe Street passed to the Lamb family, but we do know that Richard Raimes Blanshard still held it in 1861 (census), and he was still in Bubwith in 1868 (poll book). In the 1871 census he was now a farmer, living in Aughton Hall, and had a daughter of 12 months who was born in Bubwith. So Blanshard moved to Aughton in 1870-1871, and presumeably this was following the sale of the brewery. The 1881 census lists Robert Lamb, Brewer and malster, Staithe Street, Bubwith, aged 61, and the trades directory of 1892 lists the brewery of Messrs. Lamb & Son, and informs us that it was established 115 years ago (1777). However, by the early 1900s the breweries had gone, and all that remained was the old brewery warehouse in Staithe Street. The 1913 directory lists no brewers or wine and spirit merchants at all in the parish, bringing nearly 150 years of brewing in Bubwith to an end. Alehouses were ordinary dwellings where the householder served home-brewed ale and beer. By the mid-18th century larger alehouses were becoming common, while inns (purpose-built to accommodate travellers, usually beside the major highways) grew in grandeur and new ones sprang up during the coaching era. The term alehouse was gradually replaced by public house during the 18th century.